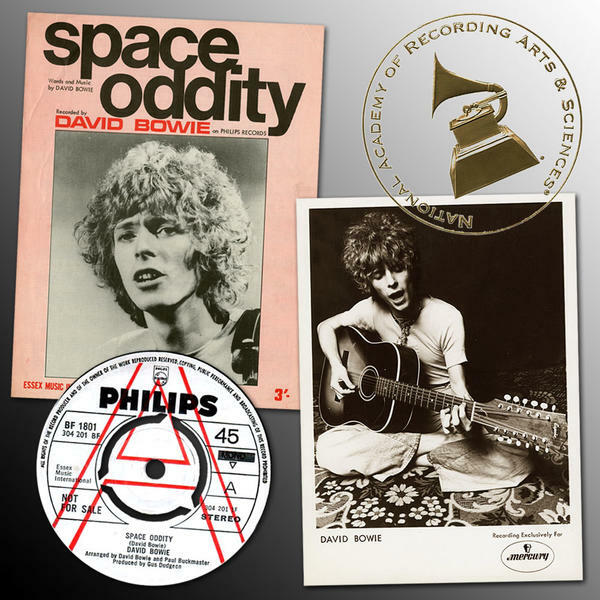 The GRAMMY Awards department recently announced that David Bowie’s Space Oddity was being inducted into the GRAMMY Hall of Fame (HOF), 49 years after its release as a 45, albeit described in the announcement as “David Bowie's 1969 time-traveling track "Space Odyssey"”! Congratulations to all involved with the creation of this classic track, which originally reached #5 on the UK singles chart in 1969 and then hit the top spot on its 1975 reissue. Space Oddity joins Changes (inducted last year), and the Ziggy Stardust album which joined the GRAMMY Hall of Fame ranks in 1999. A lot has been said regarding Space Oddity over the years, so much so that if every word written about it were placed end to end, they would reach far above the moon. However, a very moving story related to the song was posted on slate.com recently, titled: ‘How David Bowie helped my autistic son become himself’.